Come and enjoy an educational and fun filled day at a real working dairy farm. 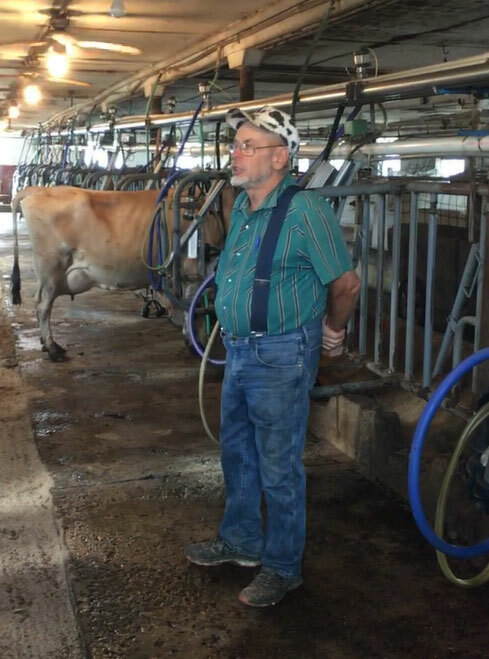 After joining us for our Dairy Tour, you’ll leave with memories of a real working dairy farm, and take home a goody. The tour lasts approximately 1 hour. An ice cream treat is offered to each participant. 1 group leader or 1 teacher admitted free with every 15 children. When we receive your reservation form and check the dates for availability, we will email you a confirmation letter to verify the date and time of your visit to Creamy Acres Farm. Prices do not include Sales Tax. All prices subject to change.